AMAZO has begun his latest rampage but this time, he’s not hiding his intentions. How many lives will be lost before he’s stopped? We return to Khandaq where Kara is once more training with Black Adam. Having bested the ruler, Wonder Woman steps up to finally actively participate in the training. But before the match can begin, they’re interrupted by a messenger. 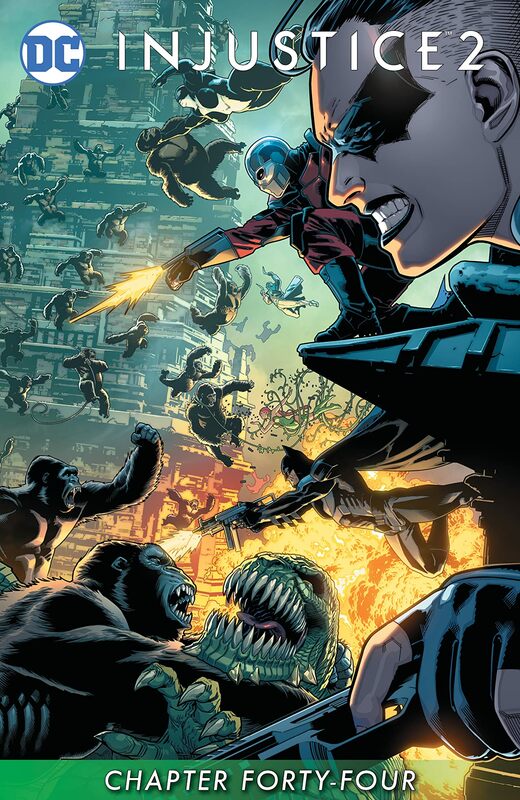 Damian has called with Vixen & Animal Man and informs them of AMAZO’s impending attack. 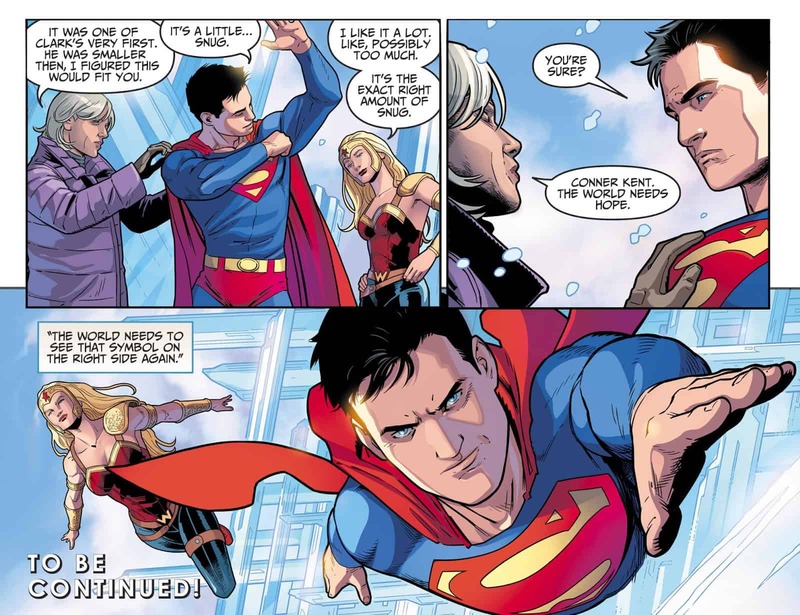 Kara wants to join but Wonder Woman forces her to stay for fear of what Batman might do if he discovers her. 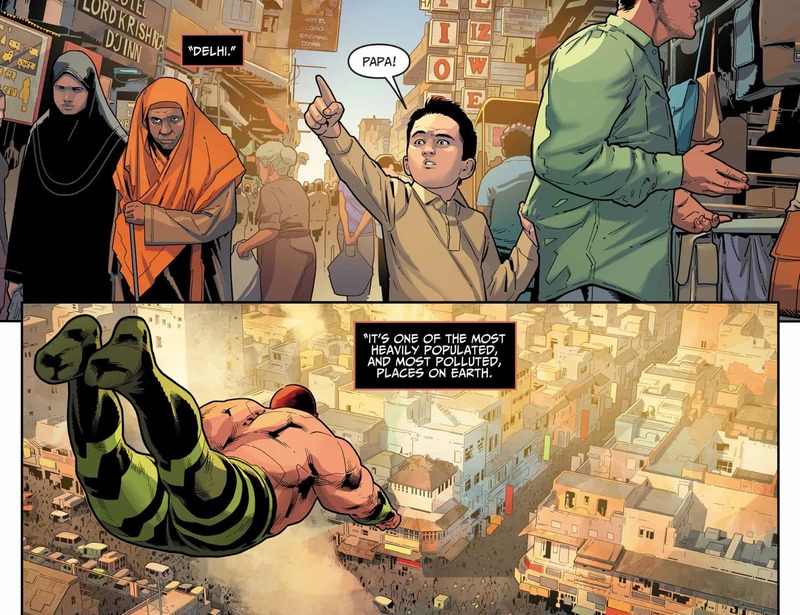 Wonder Woman asks Damian where AMAZO is and he tells her he’s gone to Delhi, India. With no defenses, AMAZO begins his massacre. All the while Damian explains that AMAZO is strong enough to take down the Justice League in its prime and if he isn’t stopped billions will die to further drive the point home. With the rampage continuing unopposed, Brother Eye easily discovers it and tells Batman. He promptly uses the most blatant invasion of privacy and transmits the call for help on every possible Justice League member and reserve members electronic devices. The fact Batman can do this is not lost on Green Arrow. The message is also received by Batgirl, Steel, Harley Quinn, and the Teen Titans. Wonder Girl is ready to help with AMAZO but Superboy brings up the obvious fact AMAZO tore off Zod’s head. She says Zod wouldn’t have been at full strength thanks to the Phantom Zone. Superboy reminds her that neither is he having just survived heart surgery. Despite this, he still plans to go help. Pa Kent overhears this and expresses some concerns but states he won’t try to stop him. It’s in the Kents nature to help people and Martha comes bearing gifts for him. Clarks very first Superman costume for him to wear instead of just bandages and jeans. 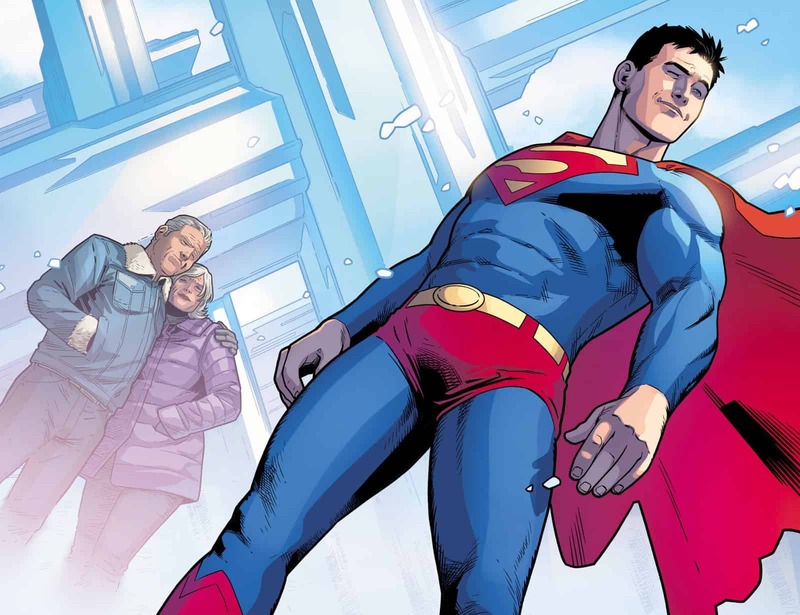 The chapter ends with Martha saying the world needs hope and to see the Superman symbol on the side of good once more. 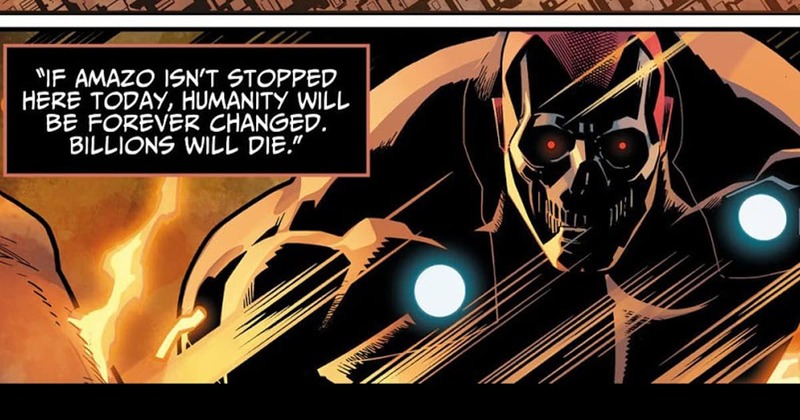 We’re heading to a massive, and probably final, confrontation with AMAZO after all this build up. We even got an awesome image of Superboy in the classic Superman costume in a full spread by itself with no dialogue to distract us from it. But this presents an interesting opportunity for the comics. Going off the game, people still fear Supergirl when she appears publicly. So they, in theory, can either keep Superboy but have his good deeds not being highly publicized. Or just have him join the sea of other fallen heroes & villains. Personally, I’m waiting for the Red Lantern swerve appearance. Final Thought: The art is still so good even with the two separate artists. But are awesome and they really know how to make AMAZO look utterly terrifying and make Superboy look classically heroic. Hopefully, it lasts. Subscribe to us on YouTube, Follow us on Twitter, and Like us on Facebook! Join our Age of Social Media Network consisting of X-Men, Marvel, DC, Superhero and Action Movies, Anime, Indie Comics, and numerous fan pages. Interested in becoming a member? Join us by clicking here and pick your favorite group!